IQS Directory is a top industrial directory listing of leading industrial conveyor belt manufacturers and suppliers. Access our comprehensive index to review and source conveyor belt manufacturers with preview ads and detailed product descriptions. These conveyor belt companies can design, engineer and manufacture conveyor belts to your specifications and application need. A quick and easy to use request for quote form is provided for you to contact these conveyor belt manufacturers and suppliers. Each company has detailed profile information, locations, phone number, website links, product videos and product information defined. Read customer reviews and product specific news articles. We are the right resource for your information requirement whether its for a manufacturer of conveyor belting, mining conveyor belts, hollow conveyor belts. Our conveyor belts are ISO 9002 and FDA certified. We can use our belts in nearly every industry, from transmission timing belts to conveyor belts for foods. We carry all companion products for our belts so that you can install and use your systems faster. We stand behind what we do, and even skip tooling charges. Contact us to find out more today! For more than 60 years, we have been offering innovative conveyor belting to customers worldwide. Our full line of products include perforated belts, vacuum belts, nylon core belts, and plastic modular belting. We have grown our reputation based on providing outstanding customer service as well as conveyor belt materials that will provide long-lasting value. For more information on how we may be able to assist you, visit us online or call us today! MIR is the premier specialty fabricator of light weight belting and conveyor accessories in North America. Offering dozens of materials and specialty conveyor products, MIR provides unsurpassed versatility and comprehensive customer service. Technical expertise combined with top quality products make MIR your choice for all conveyor belting, timing belting, transmission belting needs and more. Mol Belting Systems manufactures conveyor belting for light industrial applications. Products include grocery checkout conveyor belts, ThermoKing Plastic Belting™, belts for treadmills plus yellow TrackSeal® safety edge, which protects legs & feet at the assembly line. Over 200 belt styles in inventory! Contact us today and benefit from our leading edge manufacturing capabilities & dedicated staff. We are your premier source of all things pertaining to conveyor belts. Our conveyor belts come ready to serve in many different industries including metal stamping, wood, material handling, paper converting and many other diverse industries. Since we first opened our doors we have been providing our customers with exceptional customer care to keep you coming back to us for all of your needs! Visit us online today to learn more! Belting Industries Group has been manufacturing conveyor belts for over 50 years. 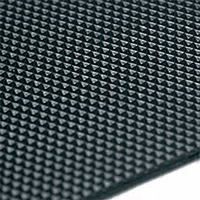 We manufacture woven endless, stretch, round, foam, metal, high temperature, film, and covered belts. Because of our experience over the years Belting Industries Group has both the knowledge and experience to manufacture custom belts that fit your needs. To learn more about Belting Industries Group and the services that we offer contact us today! Conveyor belts are systems of transportation for goods, bulk materials, or energy, that rely on rollers, wheels, and pulleys to drive and support continuously moving platforms. They can be as simple as a belt wrapped around two rollers affixed to a frame, or may be extremely complex. Complex systems can accommodate various steps in manufacturing processes, from handling raw materials to packing containers for shipping, and all points between. They can be small, such as the drive belts on vacuum cleaners and sewing machines, or large enough to move farm equipment, airplanes, and even the Space Shuttle. Conveyor belts facilitate the transport of oddly packed, amorphous, delicate, or large products that may otherwise be difficult to manage or would slow the process to an unprofitable crawl. These may include items such as pills, grains or other food items, glass, plants, couplers for rail cars, or engine blocks for ocean worthy vessels. Belt conveyor systems are typically horizontal, but can be designed to transport goods and materials straight up or down, up or down a steep incline, or around curves and corners, eliminating heavy manual labor or the need for lifting equipment, like pallet jacks and forklifts. Escalators, moving sidewalks, and some ski lifts are conveyor systems used to transport people. Many systems have built-in safety features that prevent accidents and loss. The check-out line at the grocery store is probably the most familiar conveyor belt. It is designed for safety and convenience, with guards and automatic stops. Drive belts on automobiles are probably the most widely used conveyor belts. Conveyors are found in facilities of all sorts. Major production, packing, and packaging companies rely on conveyors to move their products through manufacturing and production processes effectively and efficiently, whether the product is bottled beer, action figures, or automobiles. Package delivery companies rely on conveyors to sort and route their consignments. The U.S. mail is sorted on a massive system of conveyors, touching the lives of nearly every citizen in the country. Airports use complex automated conveyor systems to move baggage from check-in to departure. These systems utilize scanners to read destination tags and sensors to automatically direct and redirect checked bags to their appropriate destinations. Food service industries utilize conveyor systems, from field to freshly washed plate. Harvesting equipment often utilizes conveyor systems to lift crops from the ground, depositing them gently into transport vehicles. Once the food is unloaded it is transferred, via conveyors, through cleaning and food processing of varied levels, to end up on the grocery store shelf or restaurant menu. Much of this equipment must be manufactured with stainless steel, food grade components. 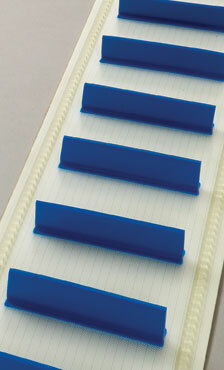 The belting for food service conveyors is usually made of urethane of Teflon for easy sanitizing. Historically, conveyor belts and systems have not been on the scene for long. The first official conveyor was introduced in 1795. It consisted of a leather belt on a wooden slider bed, with a hand cranked system of pulleys to drive the belt. It was used to load materials onto ships. The British Navy designed a steam powered conveyor to make biscuits in 1804. Thomas Robins began the development of a beltway to move coal in 1892. The belt materials used for these operations were wide leather strips stitched together with wire. A Swedish engineer, by the name of Sandvik, invented the first steel conveyor belt in 1901. It was used to move gravel. In 1905, Richard Sutcliffe reformed the mining industry by using conveyors for underground mining in Ireland. The first roller conveyor was introduced in 1908. Eight years later, in 1913, Henry Ford utilized the first conveyor belt driven assembly lines, revolutionizing the automotive manufacturing industry. You can find many manufacturers of such assembly lines today: a testament to their prominence in every industry. The B.F. Goodrich Company set conveyor belt technology on its ear in 1957, when they patented a rubberized steel belt. The belt, called a Mobius strip, incorporated a half twist which ultimately exposed both sides of the surface area, extending its life. Over time, the Mobius belt was discontinued as better materials were layered together creating more effective belts with more durable surfaces. The first all plastic belts were patented in 1970 by a Louisiana based company, Intralox. With the rapid development of polymer technologies, these plastic belts have become an equally viable option. 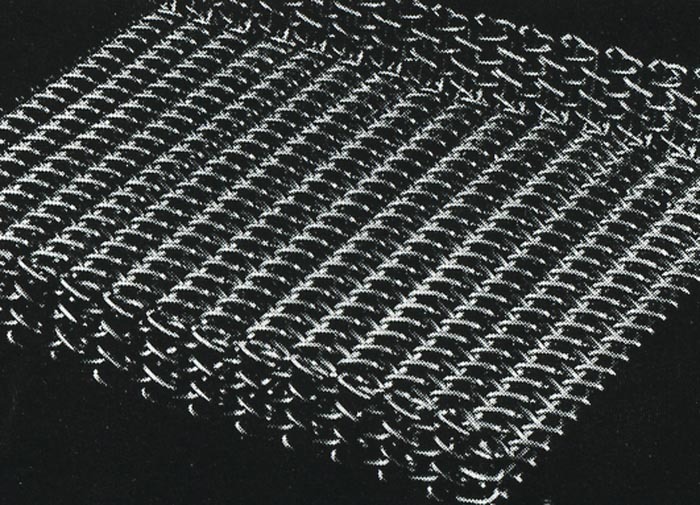 The common conveyor belt is created in layers that consist of a bed, called a "carcass", that is typically mesh fabric woven from steel or nylon wire, sandwiched between a top and bottom cover. The bed helps the belt retain its longitudinal, or warp strength, elasticity, and resilience. The cross weave, or weft, protects the belt from traversal damage while maintaining flexibility. Bed materials can be made from cotton, polyester, or aramid. Aramid fiber, used in ballistic composites, is known for its strength, heat resistance, and bullet proof quality. The covers are typically made from rubber compounds, plastic, or polyvinylchloride PVC. Wire belts, or wire mesh belts are woven from steel cords or made with links, similar to chain mail. All Steel belts are hinged bars that link together to form a belt. They are used for extremely heavy operations. Food grade belts may be made of silicone, urethane or Teflon components with anti-microbial elements added for consumer safety and FDA or USDA compliance. They must have sealed edges and be easy to clean, without places for contaminates to collect. They must often be heat, chemical, or oil resistant. Heat resistant belts may be made from Kevlar®, Nomex®, or fiberglass. V-belts, which are typically steel belted rubber conveyor belts, can be smooth, cogged, notched, or ribbed for specific applications. They are used for conveying power and to adjust timing or sequencing of energy delivery and driving gears or in applications where high tensile strength is needed. Commonly found in cars and trucks, V-belts are probably best known as timing-, fan-, steering-, air conditioning-, and serpentine drive-belts. Endless conveyor belts are cast, in a process called vulcanization, or woven to specified lengths and do not have a beginning or end. No splice or seam ensures smooth operation and even wear of the entire unit. Belts with ends that must be connected, must be spliced. This may be accomplished through the use of clipper lacing, which is a pattern of stitching with wires that offers a strong connection with smooth, quiet operation of the belt. Portable conveyor belts can be moved from place to place, with considerable ease, for various applications. Portable units are typically roller conveyor belt units that are made with a series of galvanized steel rollers attached at regular intervals to a frame. Portable conveyors are found on construction sites, loading docks, and in small business operations where moving products is an important, but not necessarily constant function of the company. Heavy duty roller conveyor belt systems are used in applications where the product being handled weighs over 500 pounds. These systems can move material up to 75 feet per minute. Vertical or Spiral Conveyor Systems move materials from one level to another. A vertical lift system incorporates a platform or arms to lift products. A spiral conveyor uses a screw type of belt for continuous material handle, at a relaxed incline, in vertical applications. Vibrating Conveyor Systems utilize a flat belt with an upturned lip, installed at a side angle to sort and convey very dirty, corrosive, hot, or harsh materials. It is also used in food grade or pharmaceutical applications where sanitary conditions must be maintained. Pneumatic conveyor systems use compressed air to move light or powdery material, such as fly ash, through a system of tubes or pipes. Pneumatic conveyors are also used at drive-up banking facilities. Bucket conveyors, screw or auger conveyors, and overland conveyors are used in mining and dredging operations. Overhead I beam conveyor systems are often found in automotive shops and metal working facilities. They are typically chain driven. A list of producers of screw conveyors can be found here on the IQS Directory website. The first step in maintaining a conveyor belt system is to choose the right one for the project. A reasonably priced conveyor, that does an adequate job, without taking up more time, energy, or space than necessary, should be the primary goal of any system. The size, configuration, and drive mode will depend largely on the material to be transported and required logistics. Once the correct system is in place, regular inspection and maintenance will be dictated by frequency and duration of use. The take-up-adjustment of a conveyor system refers to the amount of load displacement that can be compensated for. In the case of a chain drive, the chain can become elongated over time, causing the drive to become slack, allowing inefficiency of operation or even safety hazards. Belting that is out of adjustment may slip off the rollers, twist, or tear. Belt lacing that has stretched or become loose should be replaced. Proper tensioning will add life to carrier and drive belts. Conveyor systems are made of constantly moving parts. These must be lubricated regularly with appropriate lubricants. Contamination from exposure to the environment, wearing of components, or contact with elements being conveyed must be kept to a minimum. Dust created by cardboard boxes will gum up a system in very short order. Good housekeeping using a high quality dust collecting system is imperative. Regular inspection for wear and tear on belting, rollers or pulleys, loose screws, bolts, springs, or hooks, rust and corrosion are all part of the operation. With the widespread use of conveyor belts in conspicuous places, the idea of using the surface space for advertising or messaging becomes more feasible. Like "crawler lines" on television or public signage, the spaces on the belting that are not covered with the product being transferred are available for conveying messages. In factory settings, these may be safety reminders. In public settings, these may range from public service announcements to advertising. When seeking conveyor systems for a business, it is important to know the scope of material handling that will take place. The size, shape, and rigidity of the material will determine what type of conveyor works best. The distance that the material needs to be moved will determine the features required for optimum functionality. Thought must be given to path of travel, whether this takes place in one continuous motion, or with turns, elevation changes, or periodic stops along the way. Planning for expansion and reconfiguration at a later date should be considered. A conveyor system representative should take workspace conditions and requirements into consideration when making recommendations or configuring a custom system. ISO standards provide over 100 specific guidelines for conveyor belt and system safety and quality, based on the application type. A good dealer will know which standards apply, in which capacities, providing the best product for the job. You can find a convenient list of producers that we work with at the top of this page. Anti-static belts contain no static prone materials such as carbon. Anti-vibration belts minimize vibrations throughout conveyor systems, which is necessary with misaligned pulleys. These vibrations slowly abrade and stretch belts. Armored belts have crosswise insertions in the cover, made of materials like steel, to decrease tearing by sharp conveyed objects. Cable belts are belts reinforced with cables. Made from various metals, these cables add a great amount of strength along the length of the belt. Conveyor belt materials like rubber, plastic, leather and metal are all used for the construction of power transmission belts and conveyor belts. Endless belting products are conveyor or power transmission belts that are constructed without a seam. Fin belts have fin-like structures protruding from the belts themselves, making them useful in applications such as catching containers and moving them into boxes. Flat belts are linear belts used in conveyor systems that are characterized by their flatness as opposed to the shapes of other conveyor belt varieties, such as round belts. Industrial belts are power transmission belts and conveyor belts intended for use in industrial contexts. Multi-speed belts can be used in variable speed applications such as automobiles and snowmobiles. Plastic conveyor belts are belting varieties that are constructed from shaped plastic materials. Power transmission belts are belting products that are used for the transmission of power from one part of a machine to another. Round belts are belting varieties, usually employed as power transmission tools, that are characterized by their round shape. Rubber belting products are uniform bands that are made of an elastic material constructed of natural or synthetic materials. The source of most natural rubber products is the Para rubber tree, while synthetic rubber varieties include neoprene, silicone and many other examples, all of which can be employed as conveyor materials. Specialty belting is any belt product that is used for specialized or atypical purposes. Such belts are employed as power transmission tools in unconventional or unusual engines or process machinery. They can also be employed as materials transportation tools in non-standard conveyor systems. Timing belting products are power transmission belts that are employed primarily as control systems in automobile engines. Specifically, timing belts are used for the regulation of valve positioning in a combustion engine. Twisted belts are designed to replace endless round belts that are damaged or destroyed. These belts are quickly and easily installed without needing to dismantle the drive shafts. Urethane belting is the name that is often erroneously assigned to belting products made of polyurethane. Urethane and polyurethane are chemically distinct; they are easily confused with each other because of the similarity of their names. V-belts have a v-shaped profile. There are many variations of the v-belt, but most are either standard or inverted. Automatic Take-Up – A device that is used to maintain the proper level of tension in a conveyor belt, in order to compensate for the stretch and shrinkage it undergoes. Backstop – Device that stops an elevator conveyor belt from falling backwards after it has been stopped. Bed – The surface over which a conveyor belt slides. Belt Clamp – Beams or metal plates at either end of a conveyor belt, used to hold it in place. Belt Fastener – Holds the ends of belts together. Belt Installer – A simple tool used to install a belt on a roller system. With belt installers, installation occurs more quickly and does not have to be done by hand. Belt Width – The distance across a conveyor belt, measured from the outside end of a rod on one side to the outside end of the rod on the other side. Carrying Run – The part of the conveyor belt that carries the load between loading and discharge points. C-Clip – A device clamped to shafts and used to hold spools in place. Clinched Selvage – Locking the connecting rods so that the end of one rod is looped back through an extra hole on each edge of the belt and bent so that is parallel with the strip. Drive Sprockets – Used to pull the loaded conveyor under power, located at the discharge end of the conveyor. Drive Tension – The total tension a conveyor belt can handle without failing. Flexing – The bending of a conveyor belt. Immediate Set – The amount of deformation measured on a conveyor belt immediately after the load is removed. Impact Resistance – A belt’s ability to absorb load impact without damage. Lateral Pitch – Distance measured across the belt width, between the center of one drive opening and the center of the next. Mesh – An openwork structure or fabric. In the belting industry, wire mesh serves as a heavy-duty belt material configuration. Pulley – A simple device that consists of a wheel containing a grooved rim. The belt or chain connected to the pulley can change direction and lift a load; pulleys are usually attached to both ends of belting systems. Reefed – When a belt is folded back and forth on itself. Splice – Connecting between two ends of a belt by interweaving both sides together. Spool – Serves as a clutch in the belting industry. When boxes are jammed, spools slip and prevent the belts from abrading; also, when hands or hair get caught in a roller, the spool kicks in and allows for safe recovery.